The educated, physician’s daughter, Katharina, leaves her life of privilege and her parents behind in Bavaria to join her young, South Tyrolean husband, Franz, on his parent’s mountain farmstead. There she lives through the year of the South Tyrolean popular uprising in all its severity. While Franz and his brother are taken up by the enthusiasm of Andreas Hofer and the struggle for freedom, entering a hopeless war against France and Bavaria, Katharina fights for the recognition of the remaining mountain people, tying her fate inextricably to the victories and defeats of the South Tyrolean folk heroes. 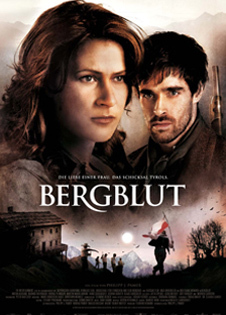 This ambitious, historical film combines a fictional family drama with historical events to tell the story of the South Tyrolean popular uprising of 1809 from a unique perspective. Inga Birkenfeld, Wolfgang Menardi, Anton Algrang, Verena Plangger, Götz Burger, Jutta Speidel, Gerd Anthoff, Hans Stadlbauer, Eisi Gulp, Mathieu Carrière, a.o.